Help by sharing to make your friends and family aware. 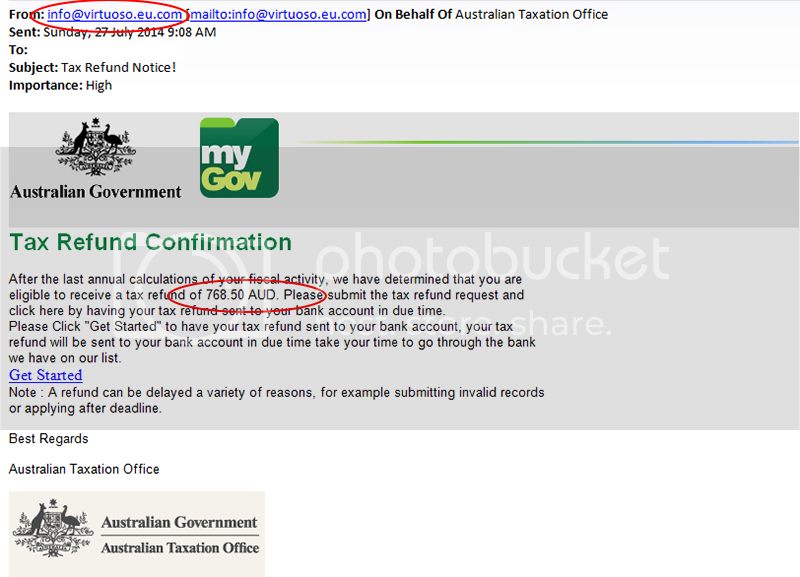 In the latest scam email that is circulating, scammers are using the myGov and ATO logos to make their email look authentic. Remember to look out for SMS and emails that ask for your personal or financial information, such as your date of birth, address, credit card details and PIN – we will never ask you to provide this information via SMS or email.